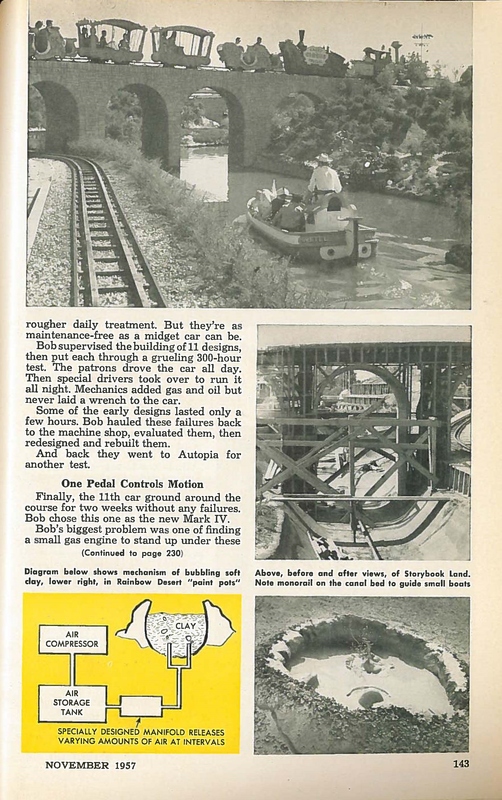 It’s amazing the articles one can come across while perusing old and vintage magazines. 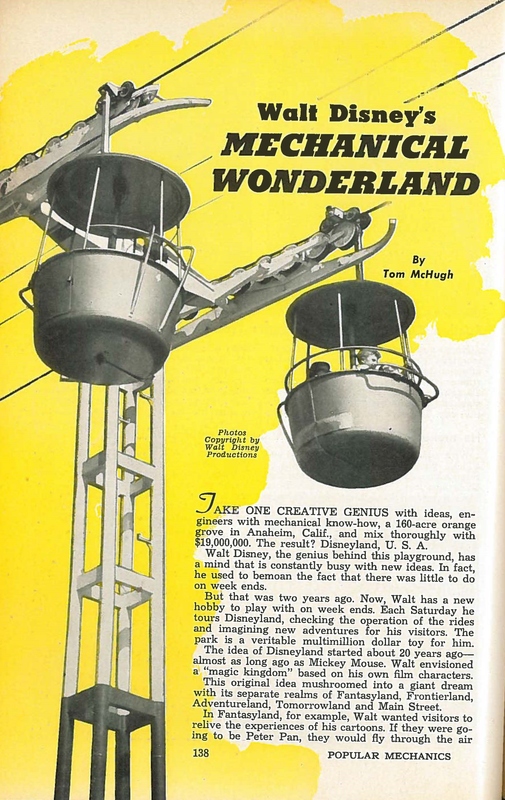 Imagine my surprise, when, looking at an issue of Popular Mechanics from 1957, I saw the following words written on the bottom of the cover: “Walt Disney’s Mechanical Wonderland.” Reading the article, I found myself just smiling at this blast from the past. 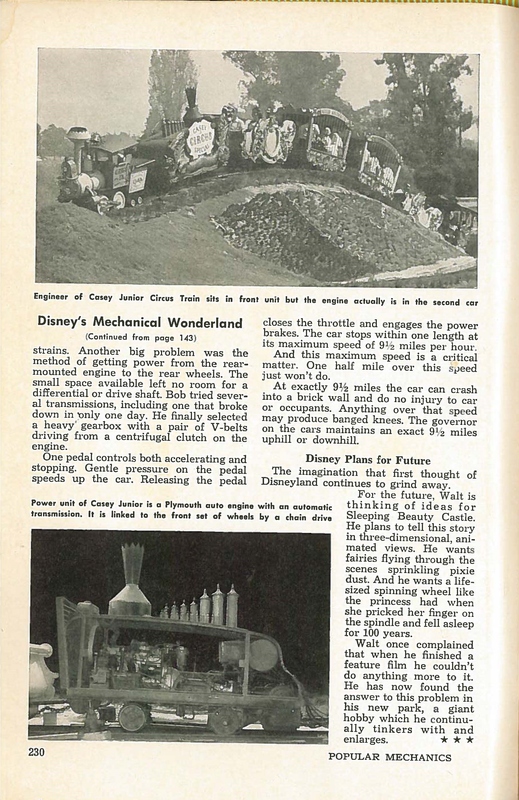 I love seeing old ads, articles, and write-ups for the Happiest Place on Earth. 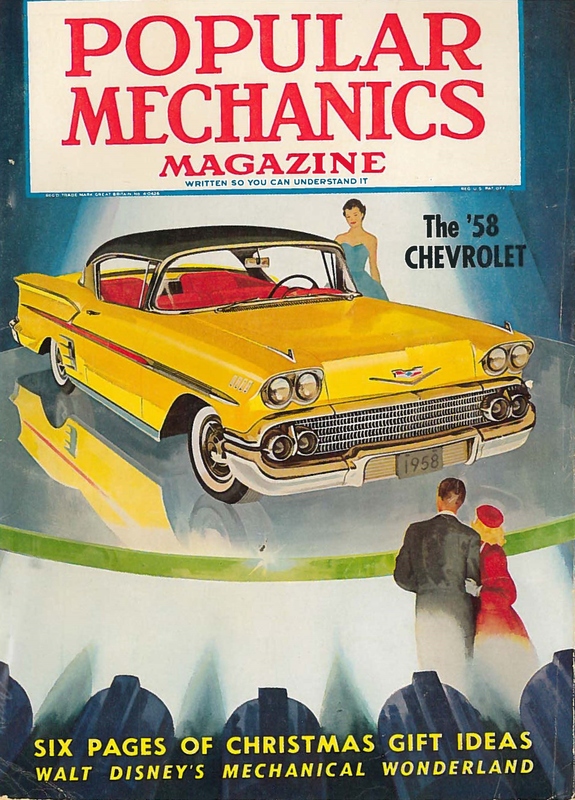 What makes this article unique as compared to other promotional materials of their time, though, is the magazine it was written for. 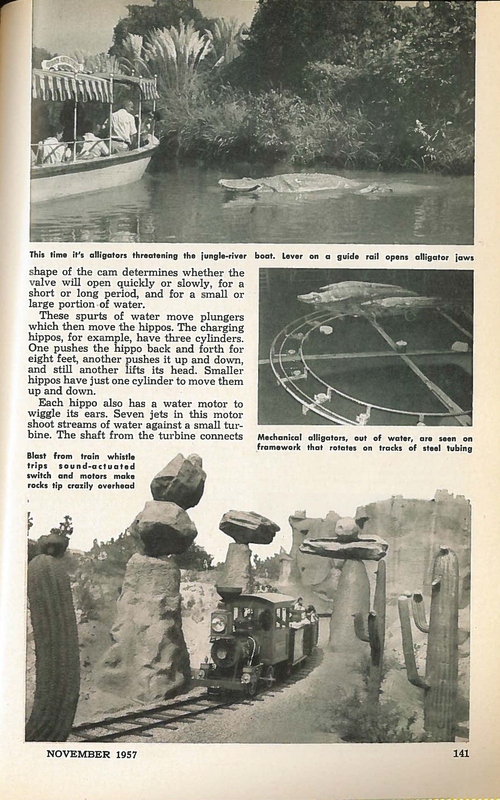 Instead of focusing on the “magic of the park,” or the exterior beauty, this article touches on a few of the technological breakthroughs (yes, the spinning alligators needed a lot of help!) 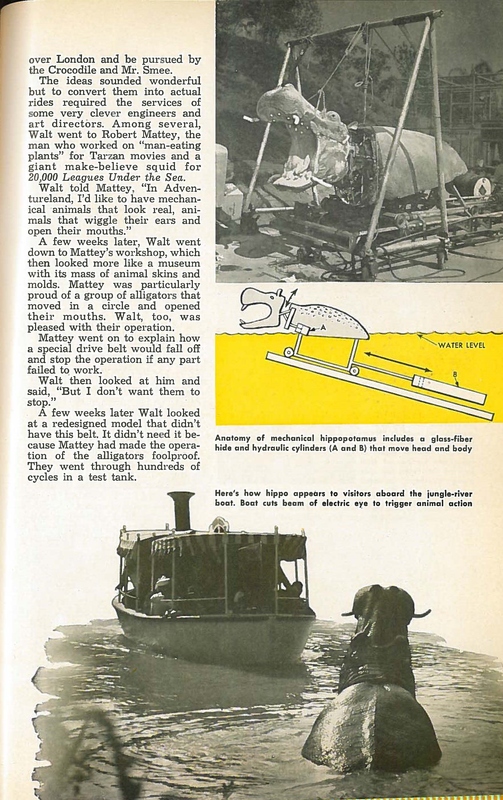 and the work done in particular by Robert Mattey and Bob Gurr. My favorite part of the article? 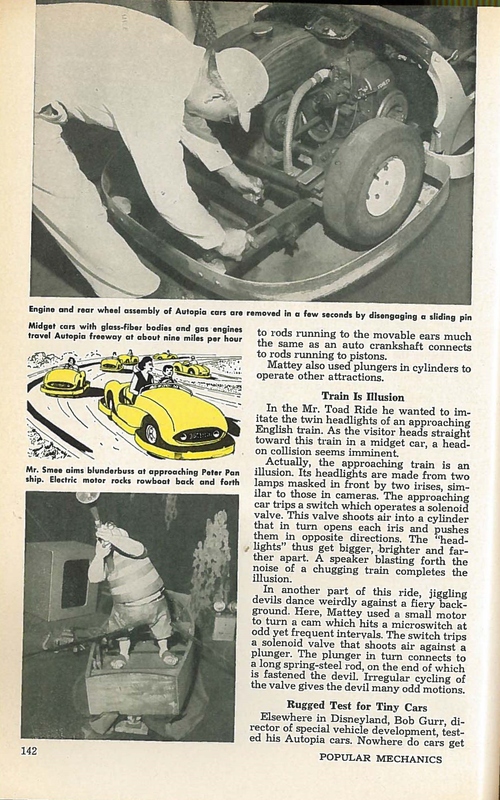 That at “exactly 9-1/2 miles (per hour) the (Autopia) car can crash into a brick wall and do no injury to car or occupants.” But, I’ve said too much already. 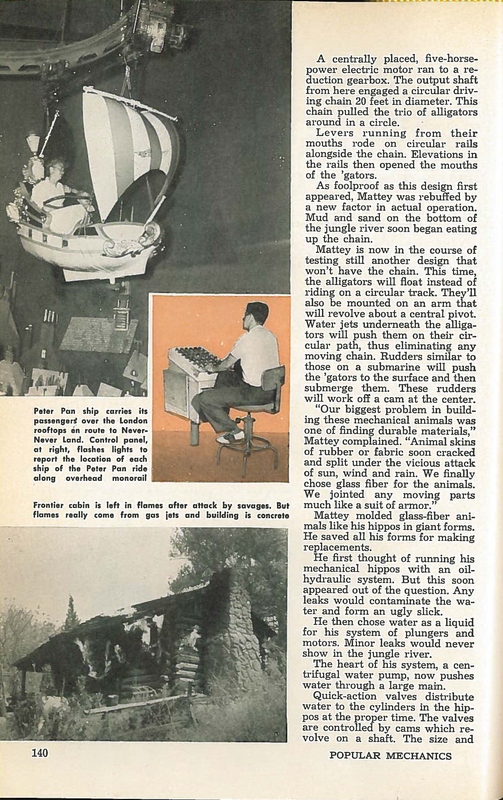 Instead of going on and on about this gem, I’ve scanned the entire article for your reading enjoyment. Hope you enjoy, and feel free to share with your friends!